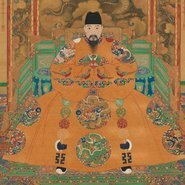 We are delighted to announce a new format for our free members viewings commencing with the exhibition, Heaven and earth in Chinese art: treasures from the National Palace Museum, Taipei. For the first time, members will have free access to the exhibition for an entire day. The free members viewing will be held on Sunday 3 February, 9am–5pm, with last entry at 4.30pm. Members gain exclusive access to the exhibition between 9–10am before the general-public. Members can also opt to come later and enjoy the show throughout the day. Please note that due to the size of the exhibition space, there may be waiting periods for entry. We thank you in advance for your patience and understanding. The viewing is free for members of the Art Gallery Society of NSW only. You must bring your membership card for entry. Please ensure your membership is current or renew your membership now to attend the viewing as membership cards will be checked on entry. Bookings are not required.